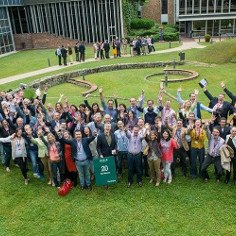 As you have experienced for yourself, INSEAD is a truly unique institution. We graduate inspired individuals equipped with sound business knowledge and international wisdom. This weekend, I look forward to sharing my plans with you and I want to hear your views. Our Alumni Reunions team has worked hard and put together an incredible programme for you. Besides the Plenary Session which will focus on the MBA programme and our Alumni network, our Faculty Forums will also cover important themes relevant to the business world of today. Throughout the weekend’s Social and Networking events, your Reunion will provide you with the ideal opportunity to expand your horizons – a chance to, not only reconnect with your former classmates, but also to interact with Alumni of other classes that hold the same INSEAD spirit.